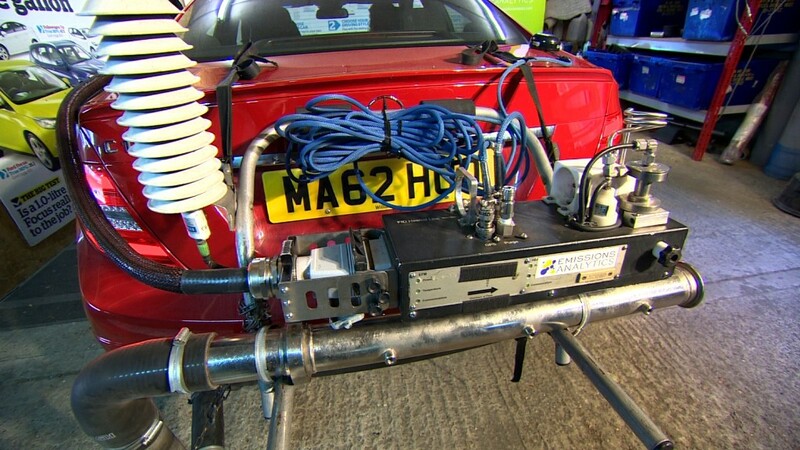 An emissions test car companies can't cheat? Volkswagen's emissions scandal could be far more painful for investors than BP's disastrous 2010 oil spill in the Gulf of Mexico. Credit Suisse (CS) estimates that the total cost to the company could hit 78 billion euros ($87 billion) in a worst case scenario. That's about 60% more than the cost of the Deepwater Horizon spill to BP (BP). "The market does not appear to be discounting negative knock-on effects," wrote Credit Suisse analysts in a report sent to the bank's clients. "The outcome for recall costs and fines is unclear and largely depends on the engine performance post repair." Volkswagen (VLKAY) has set aside 6.5 billion euros ($7.3 billion) to deal with the fallout from the scandal, after the company was caught cheating on emissions tests in its diesel vehicles. The company says costs may climb higher than this original estimate, but it doesn't agree with the Credit Suisse figures. "The numbers ... are pure speculation. 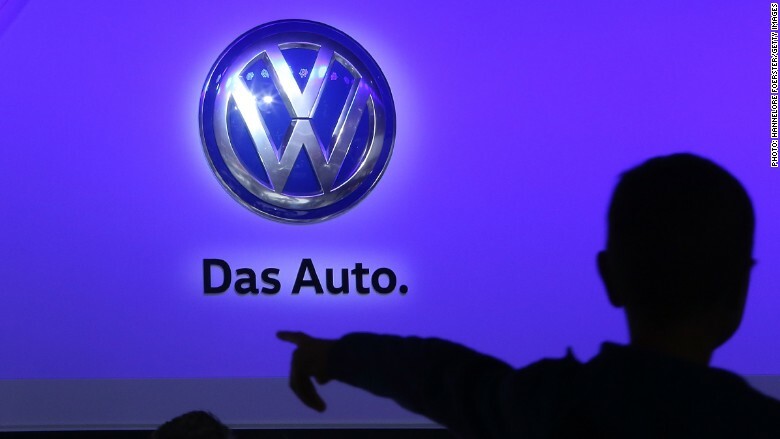 The calculations are nonsense," said a Volkswagen spokesperson in a statement. Credit Suisse's most conservative estimate of the cost -- about 23 billion euros -- is roughly 3.5 times the estimate from Volkswagen. The automaker has said about 11 million vehicles worldwide are affected. That's more vehicles than the group sells in a single year. A total bill of $87 billion would be equal to seven times last year's net profit and place enormous pressure on Volkswagen's finances. According to the company's latest earnings statement, it has 21.5 billion euros ($24.3 billion) in cash on hand. In compiling its estimates, Credit Suisse considered the cost of fixing the emissions problems, reimbursing owners and settling civil and criminal court cases. The bank's analysts believe the single biggest cost -- up to 33 billion euros -- could come from compensating owners for the loss of value to their vehicles. The technical fix is likely to mean higher fuel consumption, which combined with damage to the brand, will make the cars harder to sell. Credit Suisse said that Volkswagen may try to keep costs down by offering discounts on new vehicles to affected customers, instead of reimbursing them in cash. Credit Suisse analysts believe the Volkswagen emissions scandal will cost the company between 23 billion and 78 billion euros. Credit Suisse also warns that the carmaker's large financial services unit will take a significant hit from the scandal. The financial arm of Volkswagen provides loans to customers who buy the company's vehicles, including Audi and Porsche models. Since the scandal broke, Volkswagen Financial Services is having to pay more to borrow the money it then loans to customers. Credit Suisse said it may even need an injection of cash from the rest of the group to keep the business steady. Credit Suisse values Volkswagen shares around 82 euros ($91.50) each, implying the stock may have another 20% to fall. Shares were trading nearly 4% weaker on Friday at 101 euros. They have already fallen by about 37% since news of the emissions scandal broke on September 18.